Joni Carithers was forced to deal with swelling in her arm due to lymphedema for years following breast cancer surgery. But in 2016, microsurgery at Mayo Clinic finally relieved the discomfort that had vexed her for so long. After experiencing serious complications due to cancer treatment, Leah Nelms needed a team of experts who could work together to provide her with wide-ranging care. 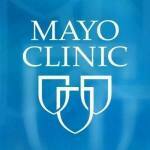 She found that team at Mayo Clinic.